New York, July 3 (IANS) Indian American federal appeals court judge Amul Thapar has emerged as a “serious” contender for a spot in the US Supreme court and has been interviewed for the position by President Donald Trump, according media reports. He was one of four judges interviewed for the position on the nation’s highest court by Trump on Monday, according to The Washington Post and other media outlets that quoted unnamed sources who had been briefed about the meetings. Trump’s Spokesperson Sarah Sanders confirmed that he met for 45 minutes with four candidates, but would not identify them. 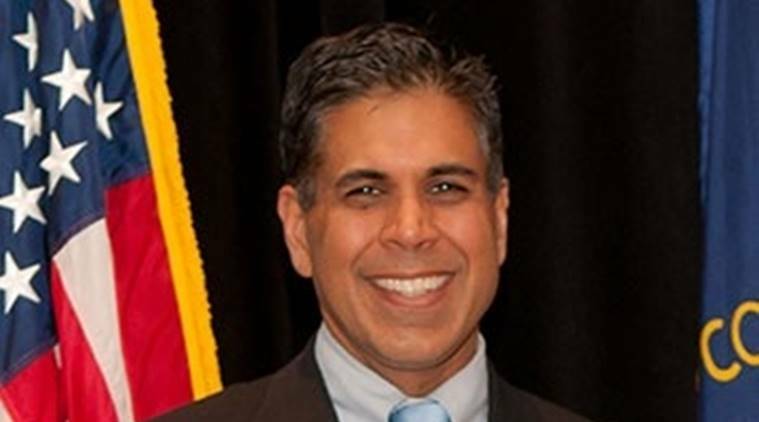 Thapar has the backing of Mitch McConnell, the influential Senate Majority Leader from Kentucky, for the Supreme Court vacancy caused by the retirement of Justice Anthony Kennedy last month. The Washington Post said Trump’s meeting with Thapar “was described by several White House aides as both a gesture of respect for the Senate GOP leader and evidence that he is in serious contention”. He is the second Indian-American judge to be a leading contender for the Supreme Court showing the community’s reach across both parties and its influence. Washington Appeals Court Judge Sri Srinivasan was among the top choices considered by then President Barack Obama for the Supreme Court in 2016. Obama ultimately picked Merrick Garland but McConnell blocked the nomination refusing to take it up for Senate’s consideration citing the presidential election coming up later that year. Earlier on Monday, Trump appointed his Deputy Principal Press Secretary Raj Shah to a key role in the difficult process of getting his nominee for the Supreme Court approved by the Senate. “Raj Shah will oversee communications, strategy and messaging coordination with Capitol Hill allies,” Sanders said in a statement. Legalised abortion that many countries like India take for granted is looming over the selection of the next Supreme Court judge, with many Senators making it the litmus test to vote for or against a nominee. It is likely that a case involving abortions may come up before the Supreme Court leaving open the possibility a conservative majority bench could overturn its 1973 ruling legalising it. During his election campaign Trump changed his stance and came out as an opponent of abortions and said that he would appoint judges with the same view. But he said last week that he would not discuss with candidates their views on abortion. The Republicans have slender two-vote lead in the 100-member Senate and at least one Senator from the party, Susan Collins, has said that keeping abortions legal would be a requirement for supporting the Trump nominee and another, Lisa Murkowski, has previously opposed efforts to overturn the 1973 ruling. The 49 Democrats and the two independents are all expected to oppose any Trump nominee and Shah will have to work with Republicans in Congress to get a majority backing for the candidate. However, other factors such as immigration, the powers of the president and any possible litigation involving the 2016 election of Trump and the alleged Russian interference are at play. Thapar is widely considered to conservative in his approach, which aligns him with Trump and his base.